Loadster helps your team create more efficient, high-quality software in less time. We make load testing tools to simulate a large volume of users on a website and find the breaking point. By discovering and fixing performance problems before they affect real users, you can avoid lost business due to a slow or dysfunctional web application. 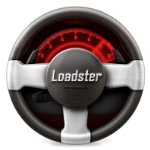 Loadster is a cloud-hybrid solution: generate load from any of 9 Loadster Cloud regions on 5 continents, or from your own hardware running behind the firewall. We optimize tester productivity by making it easier to create scripts, build test scenarios, run tests, and get detailed reports. Loadster is a cloud-hybrid solution for distributed load testing of web applications, web services, and static websites from either side of the firewall. Records test scripts in an ordinary web browser and tweak them in the graphical script editor. Then, build test scenarios to simulate hundreds or even thousands of concurrent virtual users executing the scripts. Run the test and watch the live dashboard to see how the application is performing. Once finished, export the results to an HTML report with graphs and tables. This helps to benchmark the application's performance, find problem areas, and validate the application is production-ready.